The god of metal has returned! Rob Halford has come back to the metal fold, and if this first release is any indication, it should be a powerful and successful return. The disc has many of the trademark Judas Priest sounds, and Halford's voice has never been stronger. If you like Halford era Judas Priest, by all means, pick up this disc. Halford's cohorts on this one are Bobby Jarzombek (Riot), Ray Riendeau (Two), Patrick Lachman (Diesel Machine), and Mike Chlasciak (Isolation Chamber). Weird sound effects and a processed "Resurrection" are the first sounds we hear. Another "Resurrection", this time more clear and forceful, and the song is off. With a definite Priest sound, ala "Screaming for Vengeance" era, this one really shows once and for all that Halford's pipes are still in prime form. The cut really rips and all of the vocals are in his high range style. 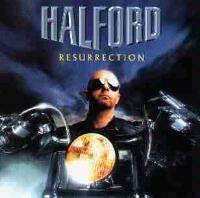 Lyrically this one is autobiographical - kind of Halford's retelling of how he has come to this point in his career. "I walked alone into a Fight, No longer standing in Satanic light, I tried to look too far ahead, And saw the road go to my past instead." More major metal crunch starts this one, but the sound really seems to merge Priest with Maiden. This one tells of the origins of Halford's metal, right back to its birthplace, Birmingham, England. 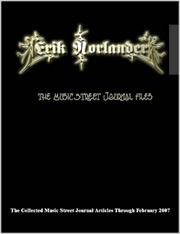 It includes sections referring to both that early era and Priest's heyday. "From memories of '68 when the Wizard shook the world, Metal came from foundries where the midlands sound unfurled." This one is really one of the best praises of the metal genre ever written. This cut is not as strong as the last couple of songs. It really feels a bit generic. It does have a catchy hook and nice crunchy riff, however..
"Night Fall" feels like classic Priest with some seriously crunch-laden textures. A great dark and mysterious balladic tone makes up this cut. This one gets hard edged, but in a dramatic metal style. It is one of my favorite cuts on this disc. After a trademark Halford scream, the song switches gear dramatically to a fast and hard Priest-like metal mode. It goes back to the earlier crunch mode, then the mellower to end the cut. This one features some classic Halford vocals, harkening back to the very early days of Priest. Another Priestish number, this one is in a more stripped down mode. It has a very catchy chorus and hooks, and is another very strong composition. This one takes on a more modern tone as it continues and includes some awesome vocals. Iron Maiden's Bruce Dickinson guests on this number. Fast paced and just a bit Maidenish at times, this is good metal, but a bit cliched, both musically and lyrically. Another Priest-like number, Halford's vocals really make this cut, a bit in the way they did on the Turbo album. This one is lyrically basically a quest for personal peace. "Let it be, Still my anger, Bring me peace, From my temper, I'm trying every way I can, I'm doing wrong I understand, Let it be - slow down - I can't have it, I can't have it all." This song includes a dramatic, more mellow section and the movement that pulls the cut back to its earlier mode is quite strong. A bit unusual, this is a good, slightly quirky metal number. The lyrics here are appropriately rather twisted. "Wonder why you try to run, Out to quit admit I've won, No one's gonna to hear you cry, Gonna hear you scream, Better get used to knowing it's just in your dreams - that you can, Twist twist twist away from me." This is a good metal number with a strong chorus and some nice chunky riffs. The vocals on this one are awesome and the guitar break is quite solid. A very Rob Zombieish sound begins this one, but the overall feel is of a metallic take on old time rock and roll. This one is crunchy and solid, but just a bit generic. It features a great instrumental break, however.